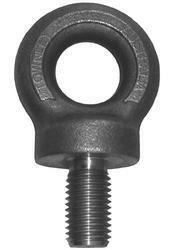 Prominent & Leading Manufacturer from Nagpur, we offer eye hook, eye bolt and wire rope eye hook. 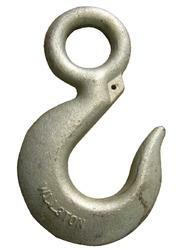 Leveraging on our rich industry experience, we are offering a qualitative range of Eye Hook. The offered eye hook is manufactured by our vendors’ end using excellent quality raw material with the help of sophisticated technology. 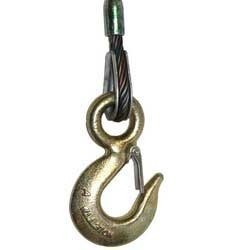 This eye hook is available in varied specifications as per the demands of the clients. This eye hook is rigorously checked on various quality parameters for assuring the complete flawlessness. Note: Prices may vary as per the specification, dimension, size and quantity. We hold expertise in offering a precision engineered gamut of Wire Rope Eye Hook. Extensively used in mechanical industry, this eye hook is manufactured using high quality raw materials and leading-edge technology under the vigilance of our vendors’ experienced professionals. In addition to this, our renowned customers can purchase this eye hook from us at industry leading price.